The Australian Department of Defence owns a munitions facility in New South Wales. In 1991 Spantech was contracted to build nineteen Spantech 13 metre ESH at the facility. The buildings were designed before the now famous Stack Frag Trials and feature the original tunnel entrance. Spantech’s current range of ESH utilises a space-saving reinforced head wall which was proven in the full scale trials carried out at Woomera South Australia. The Department of Defence facility is now operated by Australian Munitions, a business owned by Thales Australia Limited. Spantech was contracted to design and construct five Spantech 23 metre Explosives Storehouses (ESH) and an Ammunition Preparation Building (APB) at the Waiouru Military Camp. Read more. 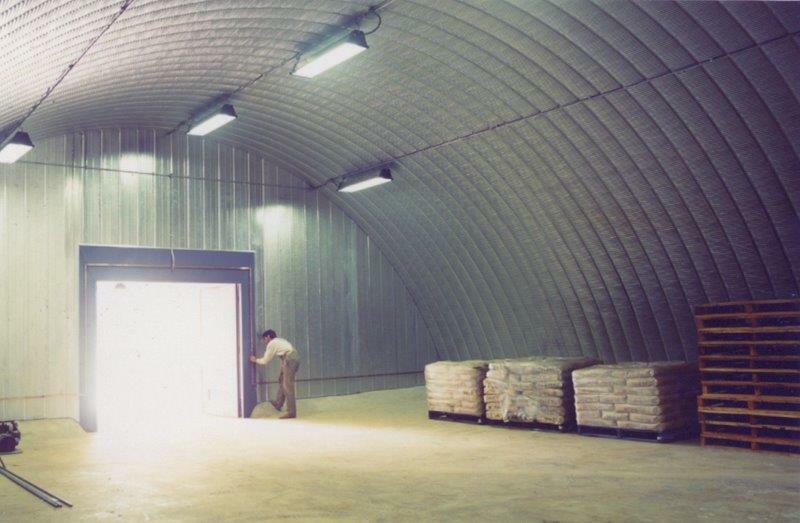 Spantech won the contract to build Thirty-Four Spantech 23 metre Explosives Storehouses after carrying out successful and extensive full scale trials primarily aimed to identify the most effective solution for the Myambat project. Read more. Design and construction of an ammunition preparation building (APB) to NATO specifications. The panels cover the main entrance and loading area with a single unsupported span of 8 metres. The straight panel is also used on the external walls and as permanent formwork in selected areas of the structure. Read more. 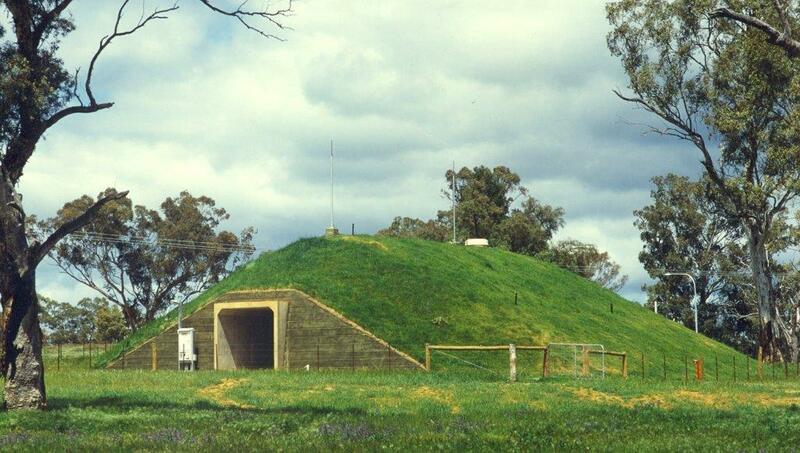 Spantech designed and constructed the major earth-covered section of the large Ammunition Process Building at the Munitions Facility Victoria in 1995. Read more. 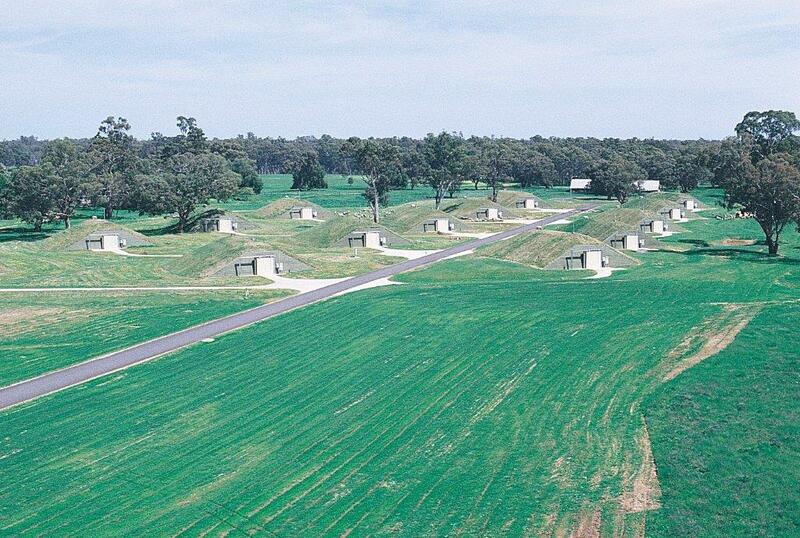 RAAF Base NT includes ten Spantech Explosives Storehouses (ESH). Eight 13 metre ESH were built in 1991 with an additional two 23 metre ESH built five years later in 1996. Read more. In 2011 Spantech worked with Thales to refurbish the buildings and add an array of internal racking designed specifically to hold the ordnance stored in the buildings. Read more. Spantech has been contracted by Lend Lease to construct a number of buildings at RAAF Base Williamtown. This contract is under construction and all subcontracts are fully let. Read more. Spantech’s scope of works included the maintenance and upgrade of a number of Spantech 23 metre ESH (explosives storehouse or explosives storage magazine) and Spantech 13 metre ESH, some non-Spantech earth covered buildings (ECB) and a covered loading area. Read more.